It’s A Marshmallow World. A Lemony, Lovely, Marshmallow Bleepin’ World. Um, guys? It’s, like, the end of May right? Because… I wore a hat yesterday. And I wasn’t trying to be chic and awesome, I was trying to be warm. This is getting kind of ridiculous, so I’d very much like for someone to pass my displeasure on to whomever might be in charge of the weather. Thanks very much. Now that that’s out of the way, let’s talk about things. I feel like, uh, things have just been moving nonstop for the past few months. I seriously cannot recall the last time I felt like it was okay to just take a breath, lounge around in my ridiculous shipwreck-type attire (my pajama pants ripped like a million months ago but I am too attached to them and too lazy to buy a new pair) and do absolutely nothing. Does anyone else feel like it’s been a particularly busy season? And it’s not even like I’m suddenly really popular or anything, because I think I remain in the “pretty likeable except when she’s hungry” category. I haven’t miraculously skyrocketed to “amazingly perfect and I need to constantly hang out with her” status, nor do I ever want to, to be honest. I think I’d hate that lady. Truth be told, most of the happenings that have kept me from lazing about like the sloth I wish I were are good happenings. This post is dedicated to the person represented by the above photo. That’s a fancy way of saying my boyfriend prefers to keep his face a secret/animated for this blog. The most recent of those good happenings happened to be my boyfriend’s 35th birthday. Now, I almost always hate getting mushy on this blog, but, well, you know… I talk about the dude a lot. Seriously, in addition to being the person who (sometimes begrudgingly) puts up with flour-covered counters and maple-syrup-sticky floors, he’s the handsomest, most talented, best big buddy I have. J, I couldn’t ask for a better roommate–thanks for continuing to let me interrupt you while you’re leisurely reading, keeping you from ever finishing a book in one sitting. I hope to continue this terrible, rude tradition with you for many years to come. Such things, they call for cake, no? Now, I’d obviously asked the boy what kind of cake he wanted and gave him very fancy choices until he basically told me I needed to cool my Air India jets and K.I.S.S. (except he did not utter the last “S” since he knows homegirl don’t play that). So, we kept it simple…sweetheart. Lemon cake. 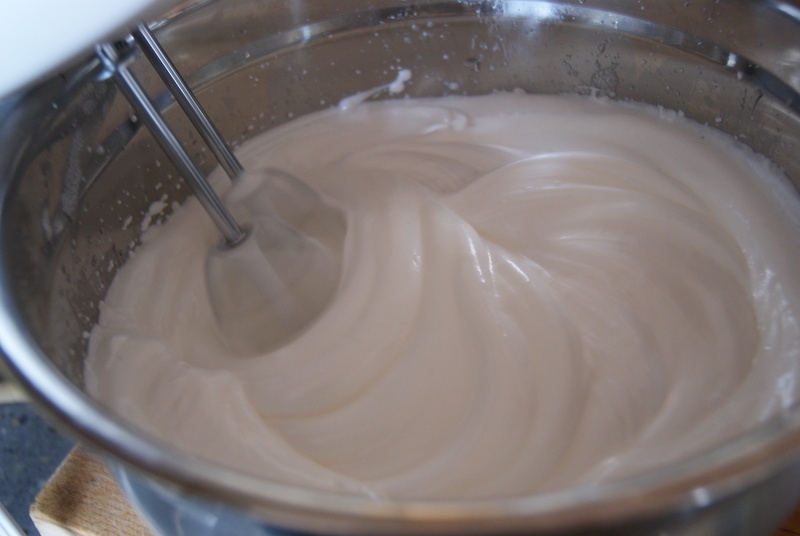 Marshmallow frosting. Lots of love and kisses. Let’s do this. Actually before we do this, I have to share this picture. I live with a neat freak and have no idea how he puts up with me and this hot, hot mess. Um…happy birthday, love? Preheat your oven to 350°F, and grease and flour two 8-inch round cake pans, then line the bottoms of pans with parchment paper. Coat paper with butter and set aside. In a medium-sized bowl, whisk together flour, baking powder, baking soda and salt, and set aside. 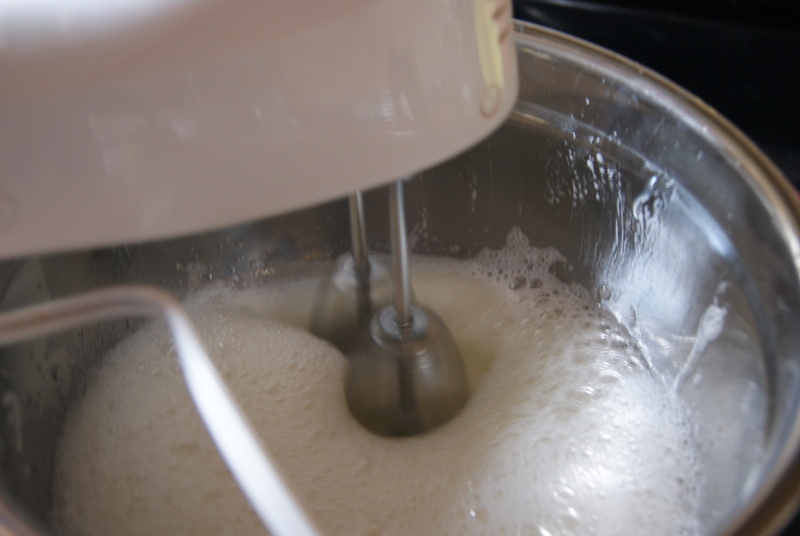 In the bowl of a stand mixer or using a hand mixer, beat together butter and sugar at medium speed until fluffy, about 5 minutes. Beat in eggs, one at a time, then alternately mix in a portion of flour mixture and buttermilk, beginning and ending with the flour mixture. 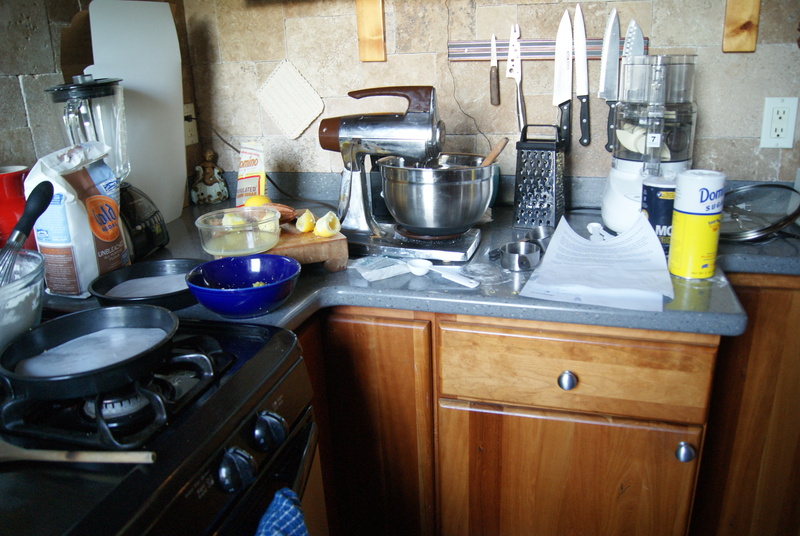 Lastly, beat in lemon zest and juice until all ingredients are fully combined. Divide the batter evenly between two cake pans, then bake on the middle rack for approximately 32 minutes, or until a toothpick inserted into the center of a cake comes out clean. Cool cake in pans for 10 minutes, then remove to wire racks to cool completely. Now, let’s move on to this frosting. Please note, and this is IMPORTANT, you need to have a cool cake for this. Not, like, awesome, because, duh… it already is. But cool as in recently removed from the refrigerator. Since marshmallow frosting is pretty delicate, it needs a cool surface to rest on, so cool these cakes out. Now, place a large (and I do mean large, since the frosting will double in size once you start mixing) metal or glass bowl atop a large saucepan filled with barely simmering water. 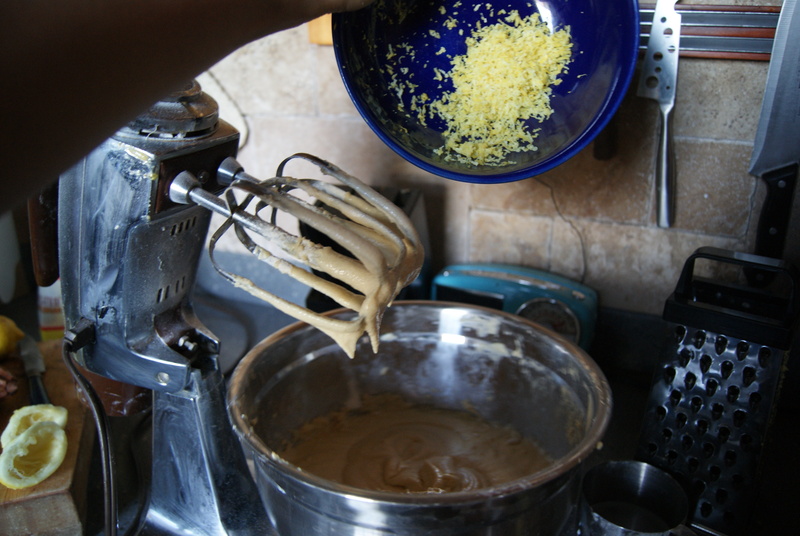 Place all ingredients in bowl, and beat on high speed using a hand mixer. Beat until the mixture is thick and fluffy. This will take about 7 minutes so…have a spotter? 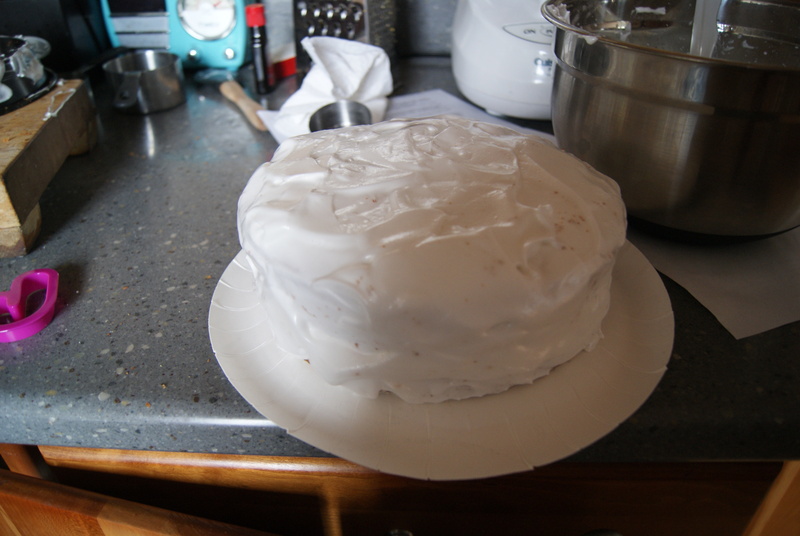 Remove from heat, and continue to mix until the frosting has cooled slightly. Using a flat spatula, generously frost the top of one cake, then top with the other cake. Lovingly plop down lots and lots of frosting and start spreading. Really, just go crazy. If you’re lucky, you’ll have tons of frosting leftover to do unspeakable things with. Sorry. 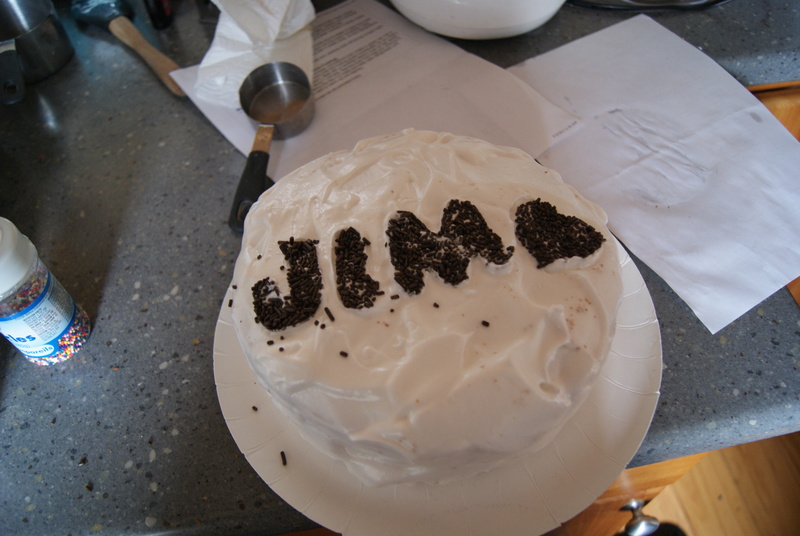 Oh…I hope it’s obvious that my boyfriend’s name is Jim. I feel like I’ve never mentioned that before, but I guess it would be awkward and rude if another man’s name topped my boyfriend’s cake. But it’s Jim, and that’s a heart. And that’s because I love Jim. I wish I had taken a picture of the inside of the cake, but, um, we were at a bar with a bunch of his friends and I was inebriated. Sorry. I feel like I have to be honest with you guys because I love you all. But I’m really relieved to say the cake turned out amazingly well. 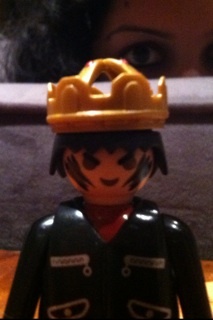 I even caught my boyfriend stealing a couple more pieces and had the waitress try a piece and give it a thumbs-up. I also enjoyed it but don’t expect you to believe me because… drunk. I would like to meet this Jim. We shall dance to the death with nothing but the lungis on our bottoms to see who will win your most beloved affection. Love it! (; That cake was mmm mmm goooooooooood!